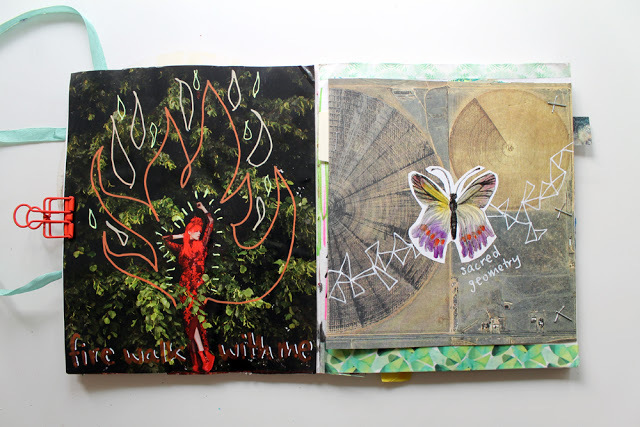 It’s always so thrilling when you find the perfect fit between zine theme and recipient and collaborator. 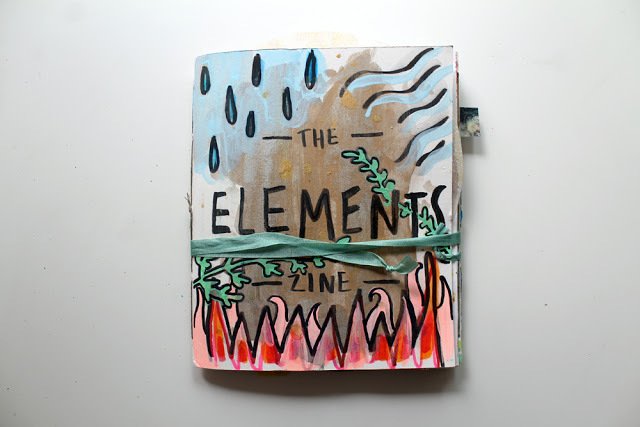 This happened to the Zine Squad with the Eelements Zine. 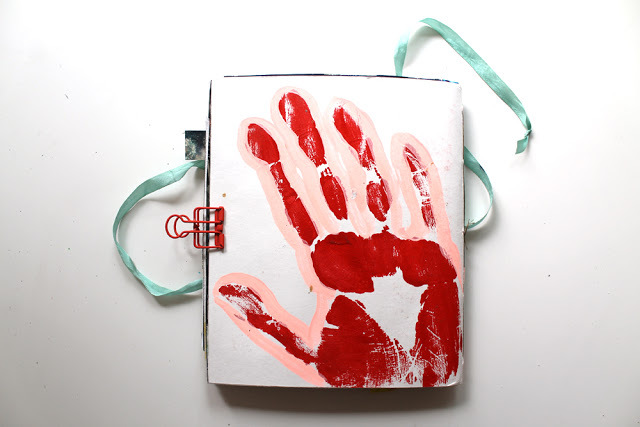 We made this zine for Serena and recruited Divyam to help us out. 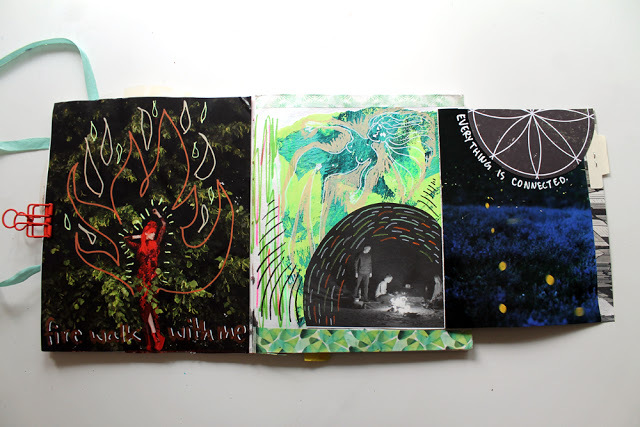 This zine is pure magic. Everything meshed so perfectly! 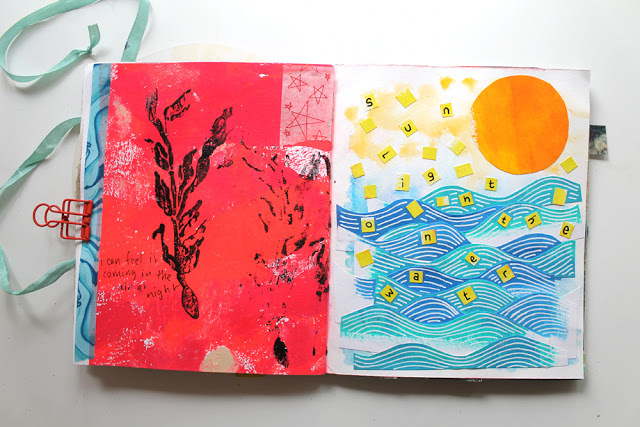 I started the zine and it was fun to add some gelli prints pages like the left one above. I also added flaps like for the spread below. In general I’m a water elemental but recently I’ve been super attracted to fire. I feel like the right page below blends there two elements nicely. 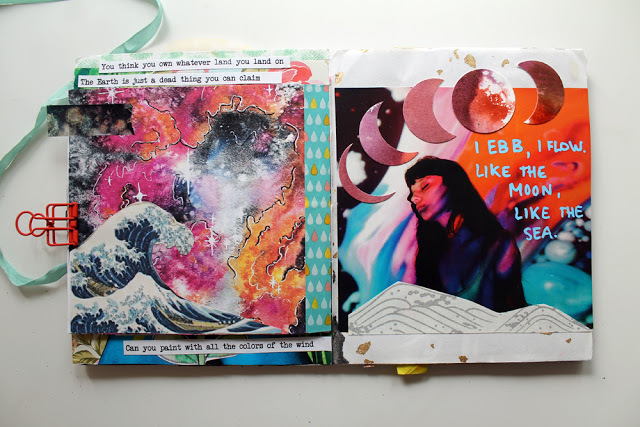 It’s my favourite and is so perfect next to Katie’s ocean galaxy page. 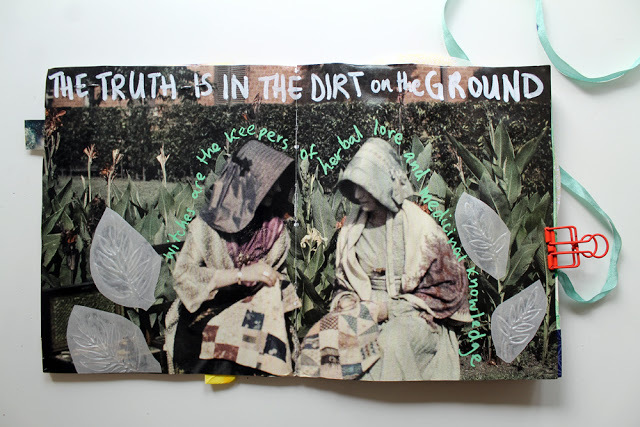 This final spread features lyrics by Karen Elson. I love the idea of learning more about herbal medicines and what they bring to our health. Please take a look at everyone’s contributions here: Katie, Julia, Divyam. So much love for the Zine Squad. 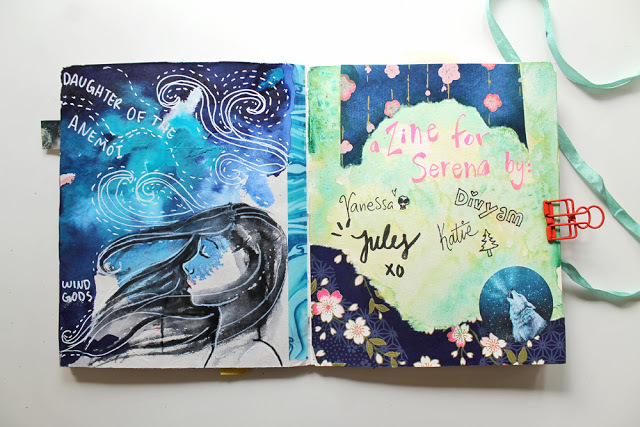 One of my favourite projects!